Yes, Deacon Jones was briefly a recording artist. Franorama 2.0 airs from 10 a.m.-1 p.m. EDT (9 a.m.-noon CDT, 7-10 a.m. PDT, 2-5 p.m. GMT) on Cygnus Radio. For the archival link to this and all other past shows, click here. “52 Girls” because I just turned 52. 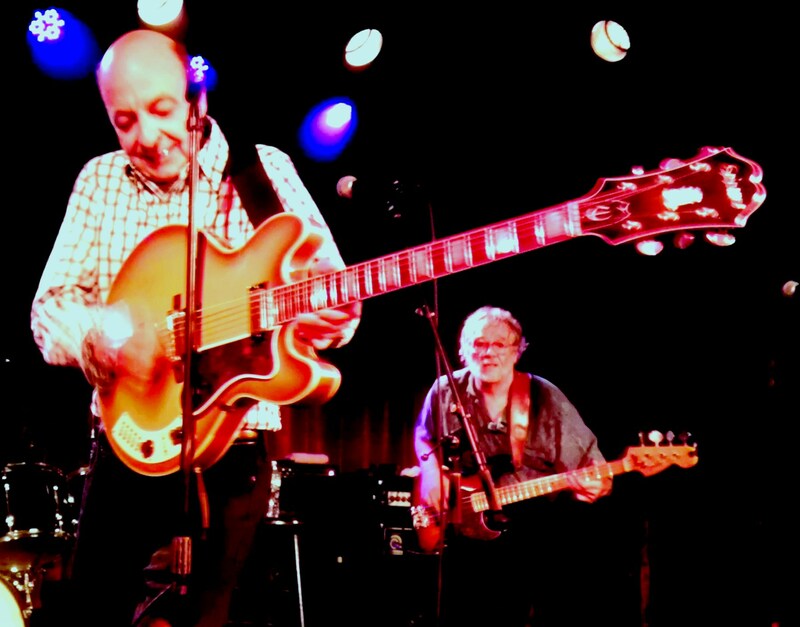 Los Straitjackets, The Outta Sites and The Big Fat Combo. Los Straitjackets, the surf combo with the Mexican wrestling masks, plays tonight (June 10) at Cafe Nine in New Haven. Chris “Sugarballs” Sprague, the drummer, was just at the Nine a month ago playing for Big Sandy & His Fly-Rite Boys. In addition, he fronts The Outta Sites, back in L.A.; their new debut album, Shake All Night with The Outta Sites, is wonderful shades of The Dave Clark Five and The Wonders from That Thing You Do. 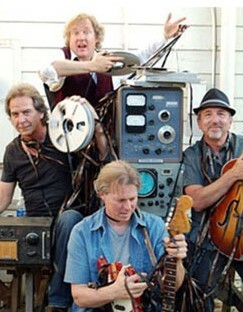 And local semi-legends The Big Fat Combo will open the show. A tribute of sorts to the greatest defensive end of all time, Deacon Jones, who died last Monday (June 3). 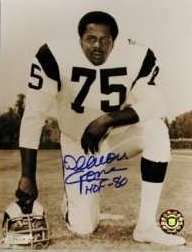 If you grew up in a certain era, as I did, you probably thought the Los Angeles Rams were pretty cool — the white-and-blue unis, Roman Gabriel, Jack Snow, and the most famous front four in NFL history: Jones, Merlin Olsen, Rosey Grier and Lamar Lundy. I often wondered whether David Jones took his nickname from a song, like fellow Hall-of-Famer Night Train Lane. I included two songs titled “Deacon Jones” (by Louis Jordan and zydeco king Boozoo Chavis, who recorded extremely down-and-dirty versions of it early and late in his life), as well as a 1965 single the Foursome recorded for Capitol. The inimitable Blake Jones & the Trike Shop. Jones & the Trike Shop, back in Fresno. One of the most whimsical and pedigreed pop groups you’ll ever hear. Their first album in three years, Teasers From the Whispermaphone, is just that — a seven-song look at early and now-out-of-print discs and hints of sounds and directions to come. Barry Tashian and Vern Miller of The Remains at The Bell House, Brooklyn, Friday night. The Reducers. It’ll be a year already on Wednesday (June 12) that we lost Steve Kaika, the bass player from Connecticut’s greatest rock’n’roll band aside from The Wildweeds. Thirty-four years with the same four guys (only The Four Tops, 53 years with the same foursome, topped that). I played mostly of them, along with the three best tracks from Rave On, Vol. 1, the tribute album that his nephew back in Fresno, Jes Farnsworth (now touring Europe as the guitarist for ex-Metallica bassist Jason Newsted’s trio, Newsted), put together to help pay Steve’s medical expenses. Birthdays living and dead. I found out just as my previous week’s show ended that it would’ve been the 50th birthday of outsider art’s link to rock’n’roll, Wesley Willis (who died 10 years ago in August), so I put him in with three Friday birthdays: Gordon Gano of the Violent Femmes (50), Prince (55) and Tom Jones (73). To close, the rarely heard original 1961 version of “Someday We’ll Be Together” — yes, The Diana & the Supremes swan song — by Johnny (Bristol) & Jackey (Beavers).